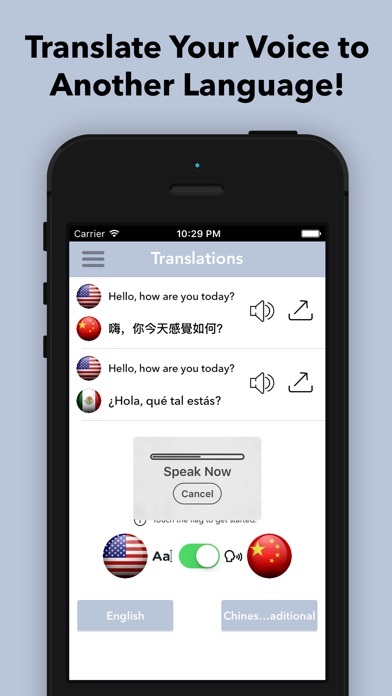 Speak and Translate Your Voice and Text into 50+ Languages! 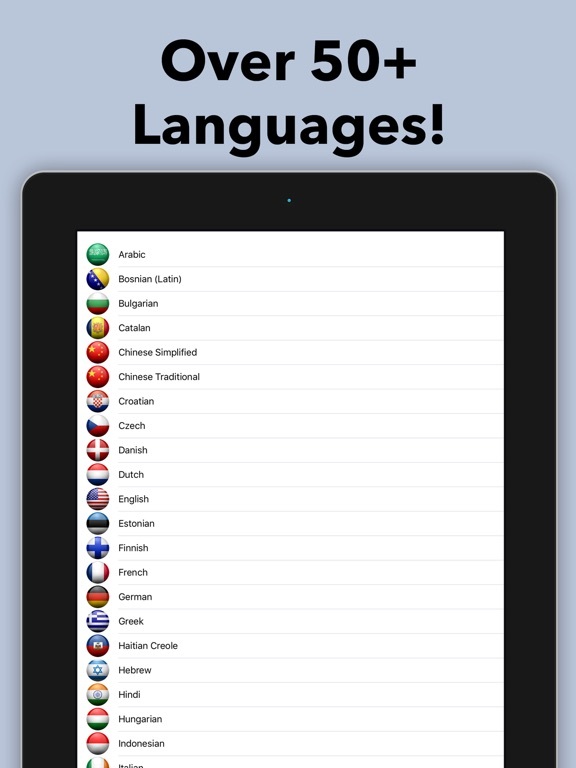 Have you ever wanted a quick and easy way to translate your voice into many other languages? 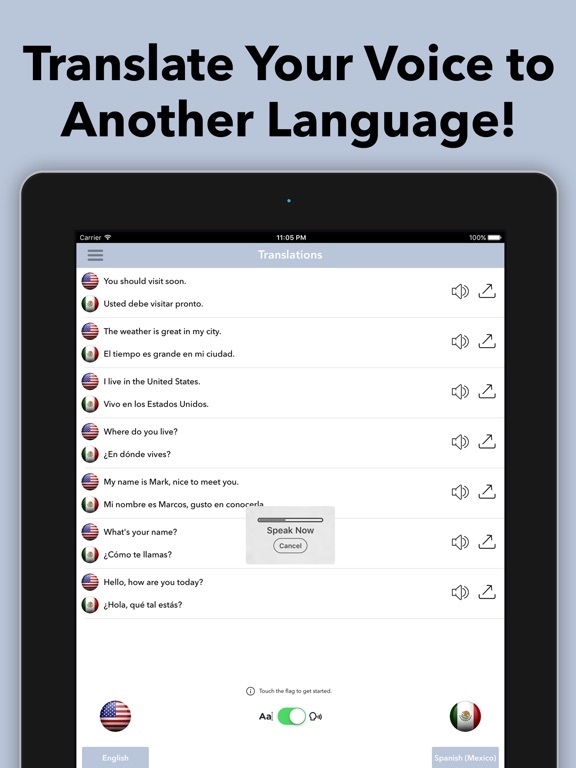 Speech & Text Translator allows you to translate your voice into another language that you can actually hear! No typing required, just speak! 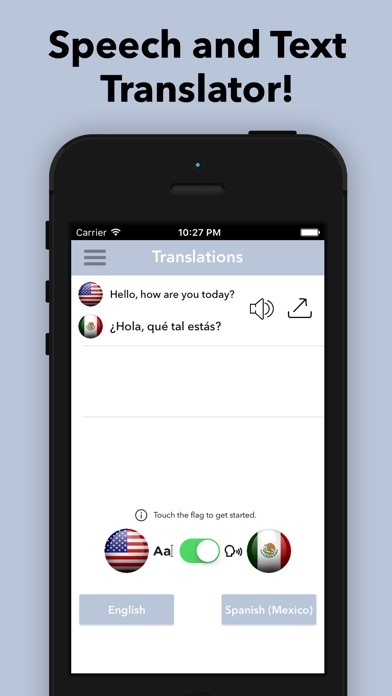 Have full conversations between two languages using just your voices! -Hear your voice in another language! 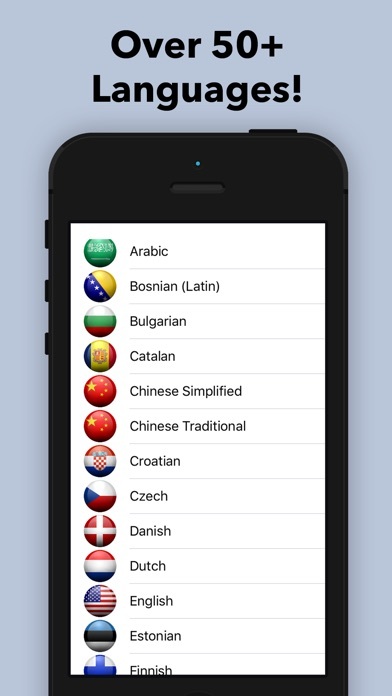 -Use text to translate your language into another one. 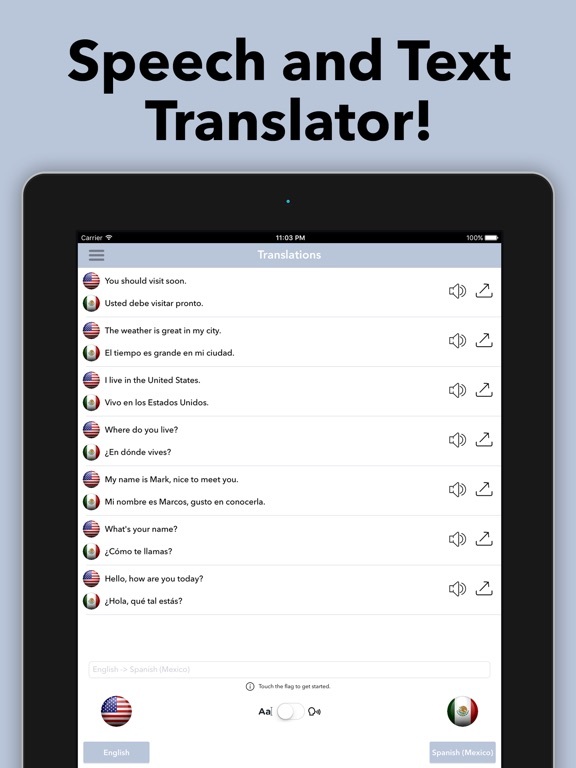 Speech & Text Translator is the perfect traveler's companion, use it anywhere you have an internet connection! Thanks for your support, if you enjoy using this app please leave us a 5 star review on the App Store!